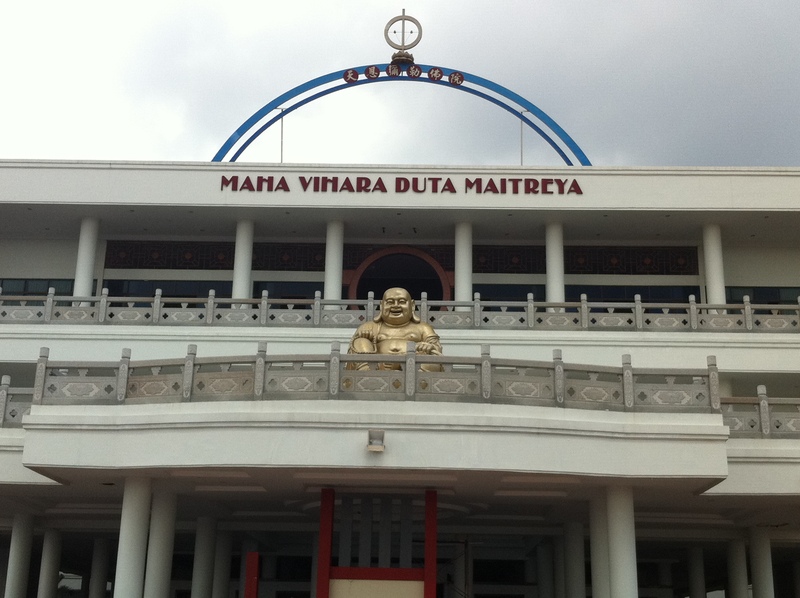 Day 2 of the trip took us to the MAHA VIHARA DUTA MAITREYA LAUGHING BUDDHA TEMPLE – the largest Buddhist Temple in South East Asia. 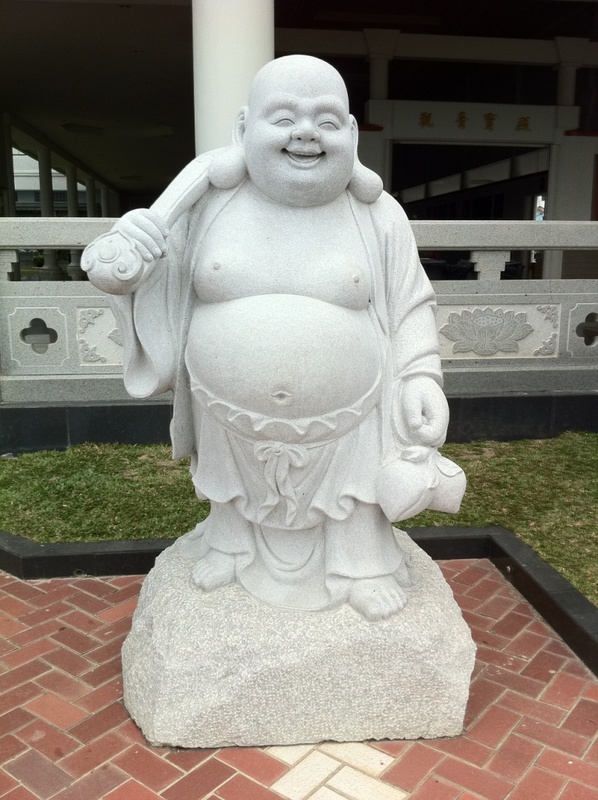 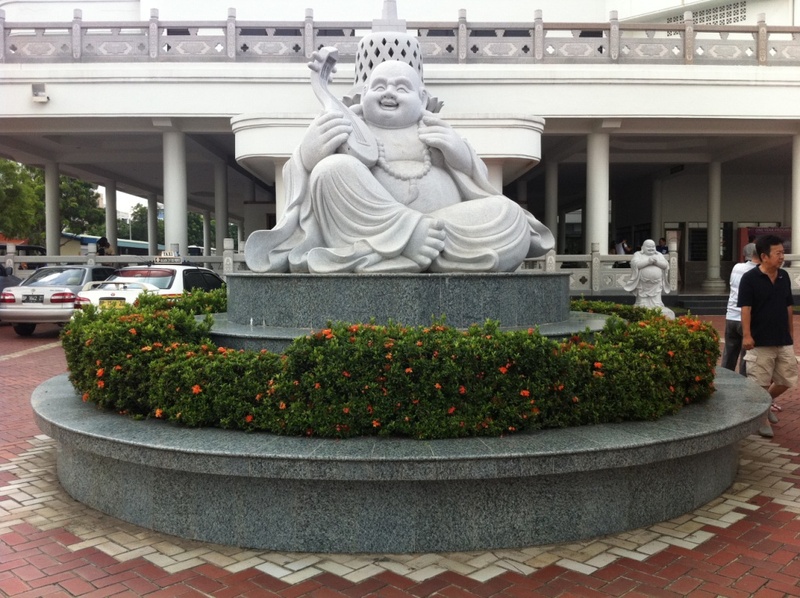 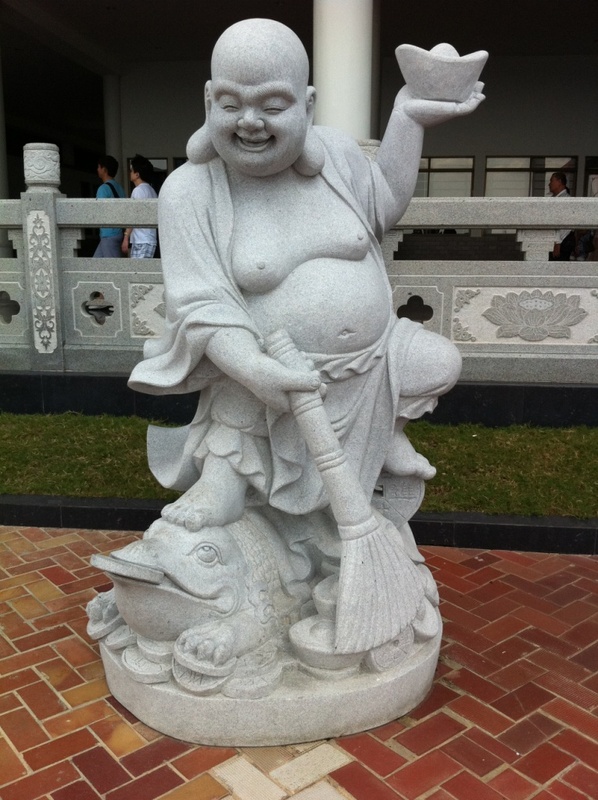 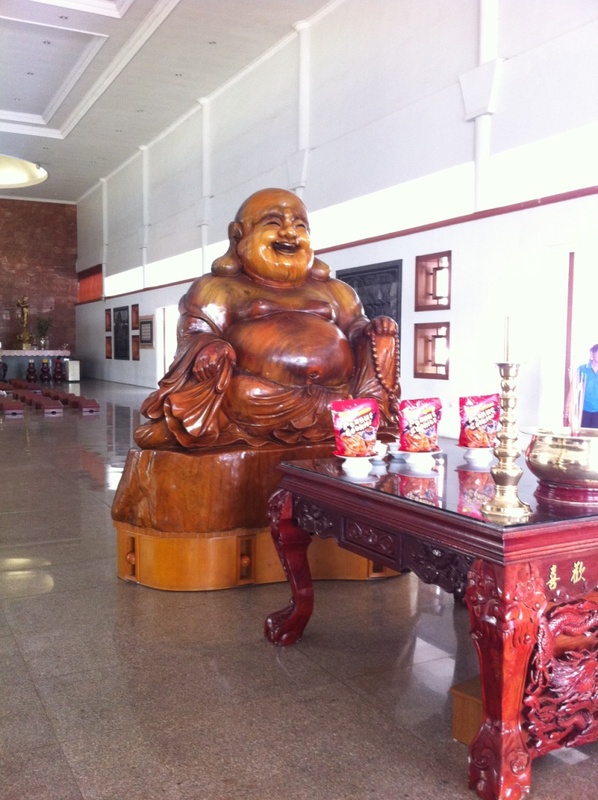 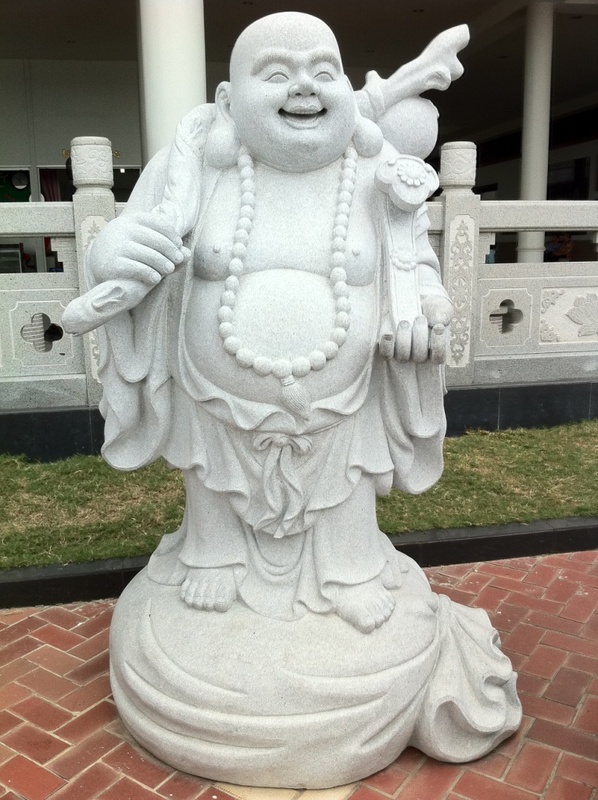 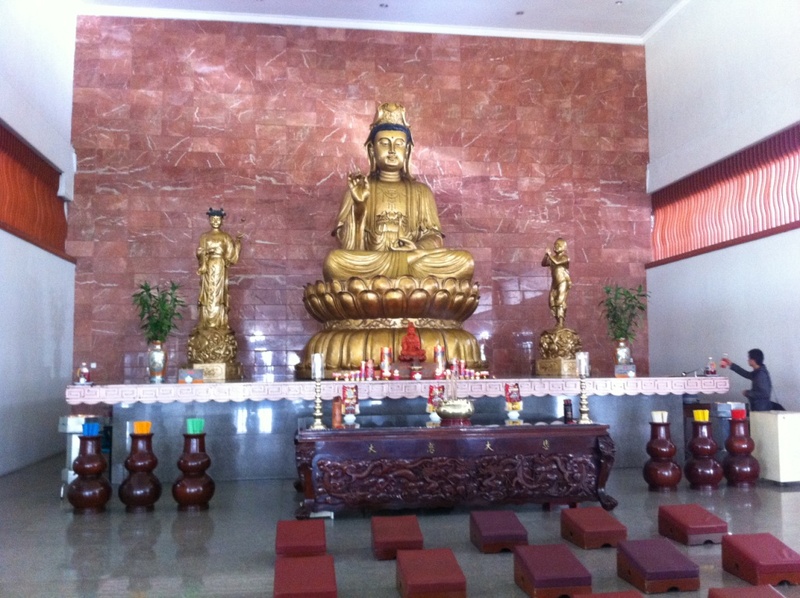 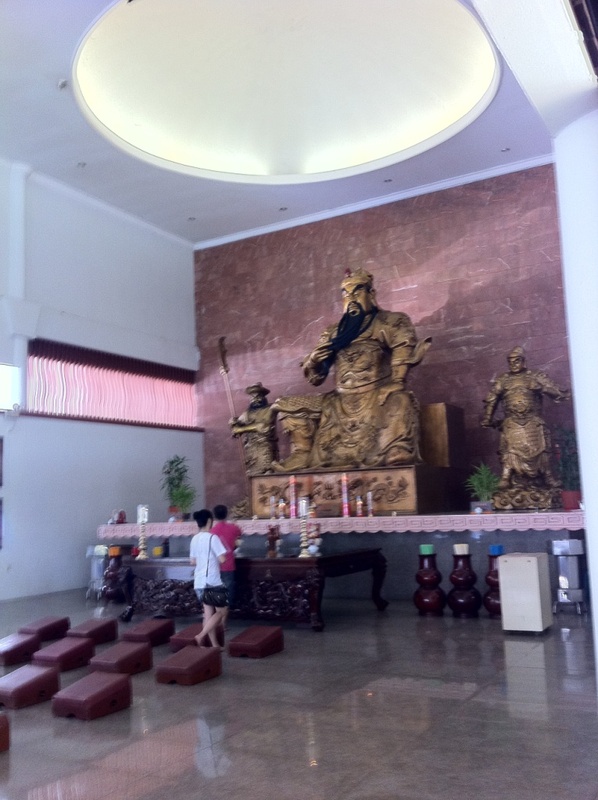 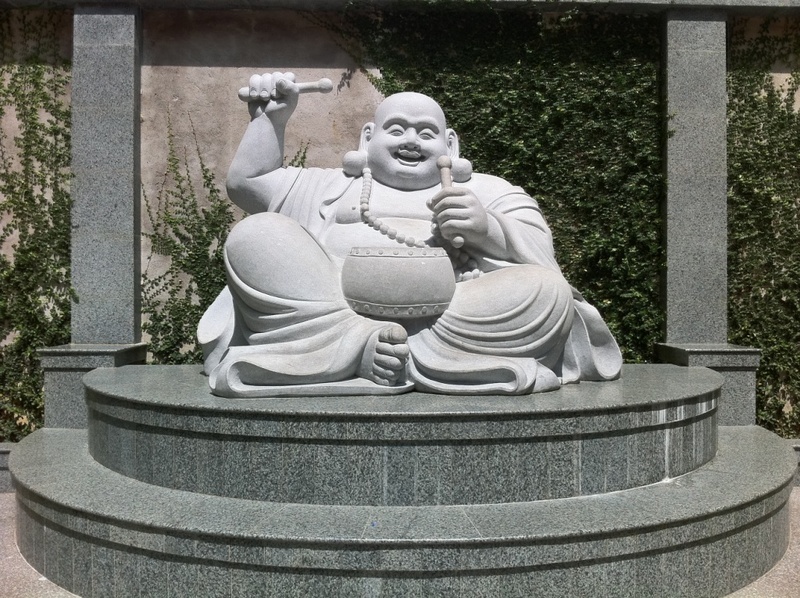 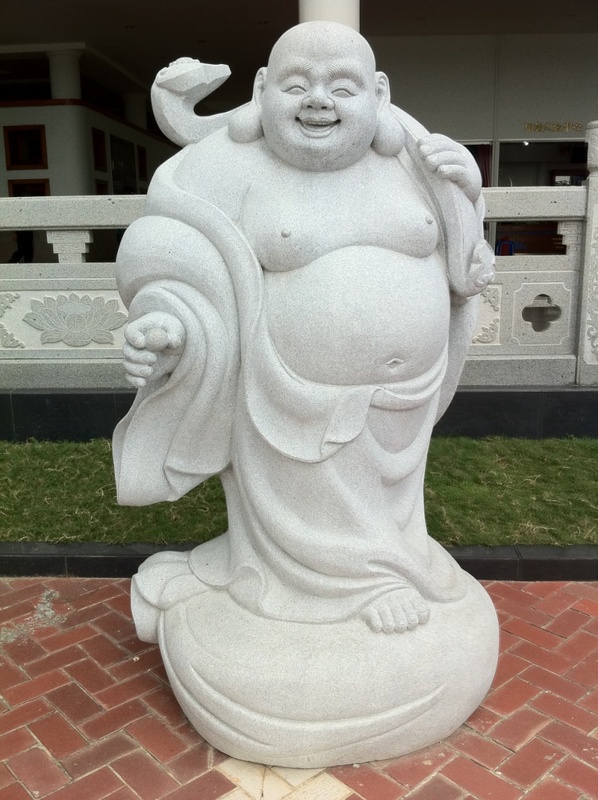 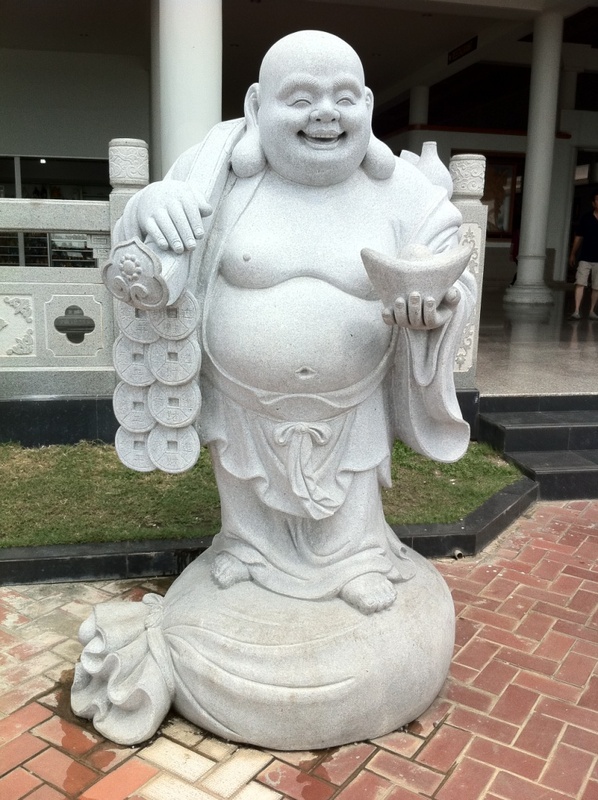 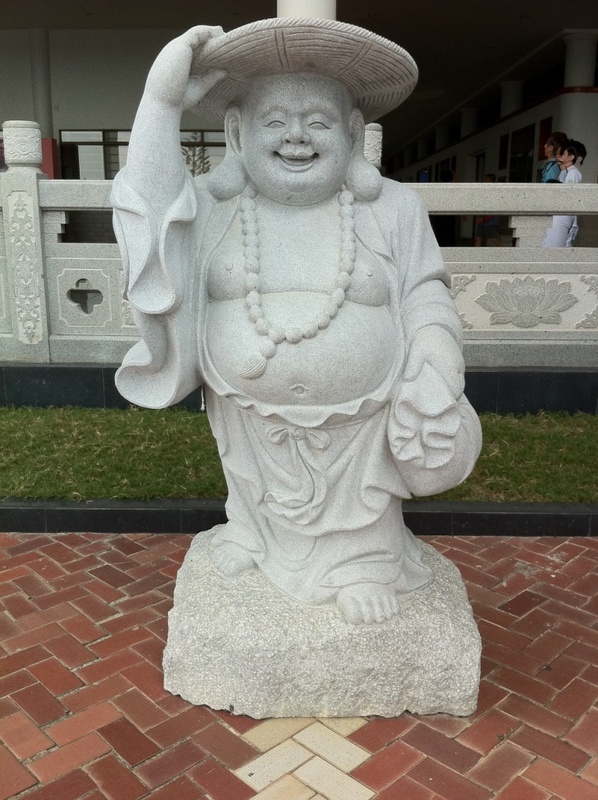 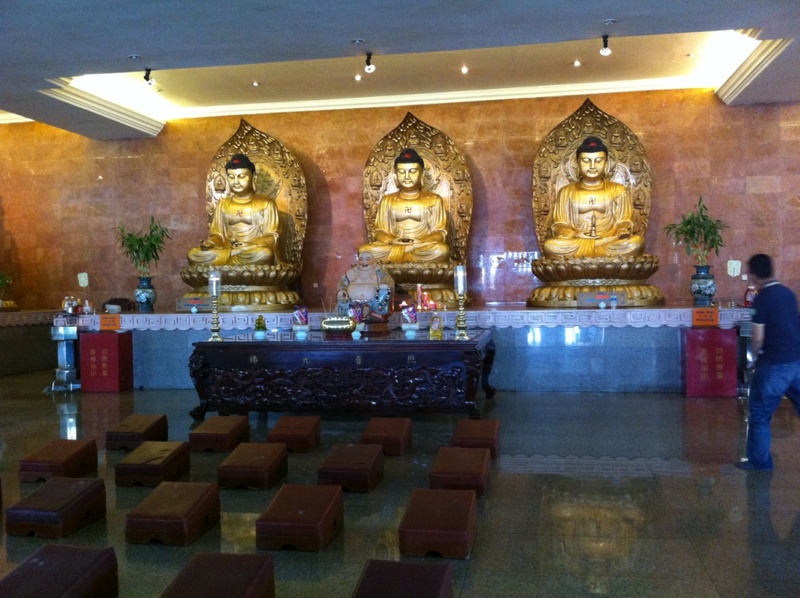 There are many statues of the Laughing Buddha scattered in a round the prayer halls. 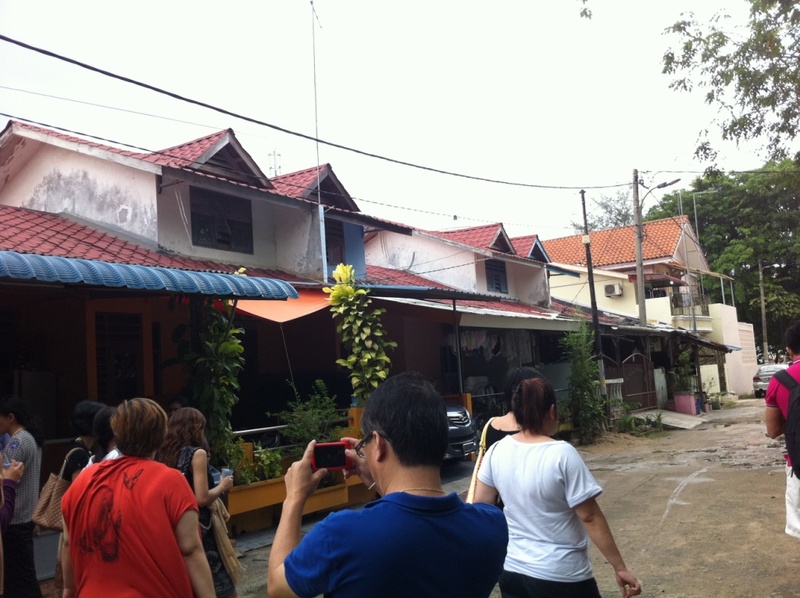 After that we dropped by a shop/resident selling the famous Indonesian layer cake, Kueh Lapis. 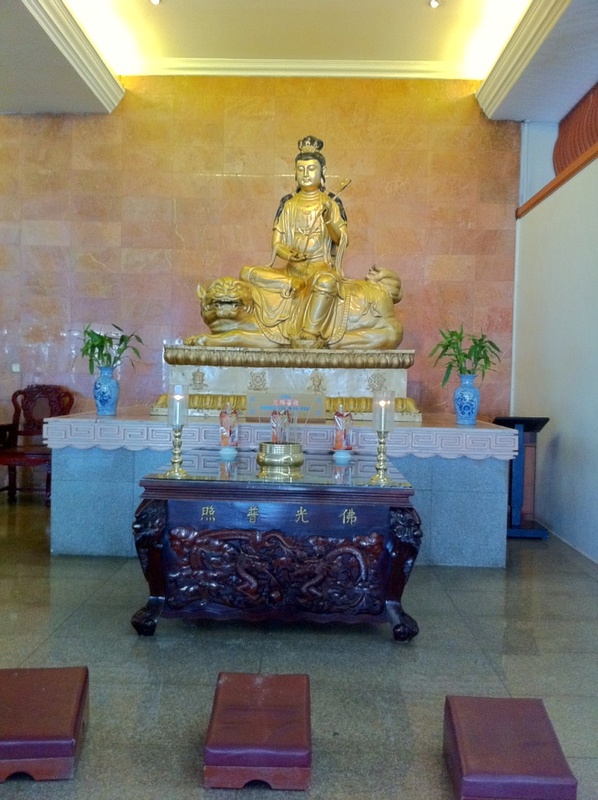 We saw how the cake was made in the front yard of a bungalow type house. 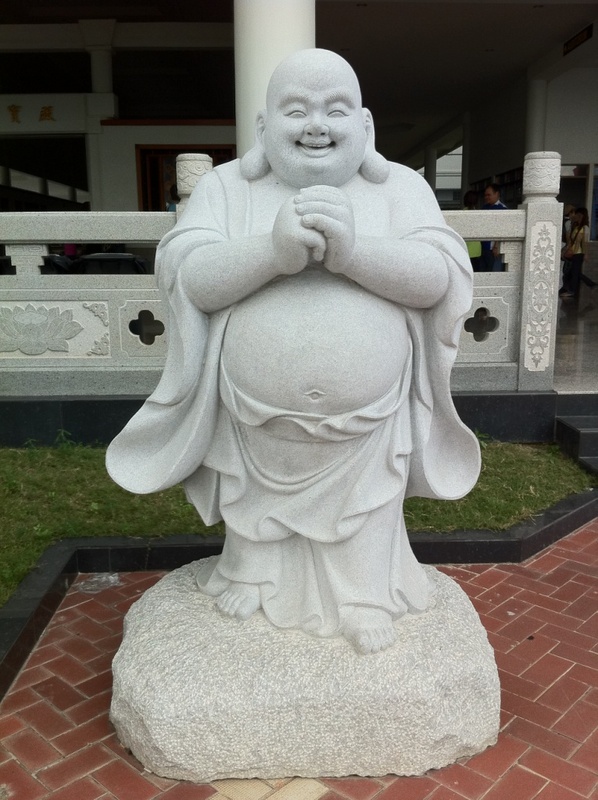 We could place an order for the cake and it would be delivered to us wherever we might be but me and sis didn’t order because the cake didn’t taste like the traditional Kueh Lapis, more like butter cake. 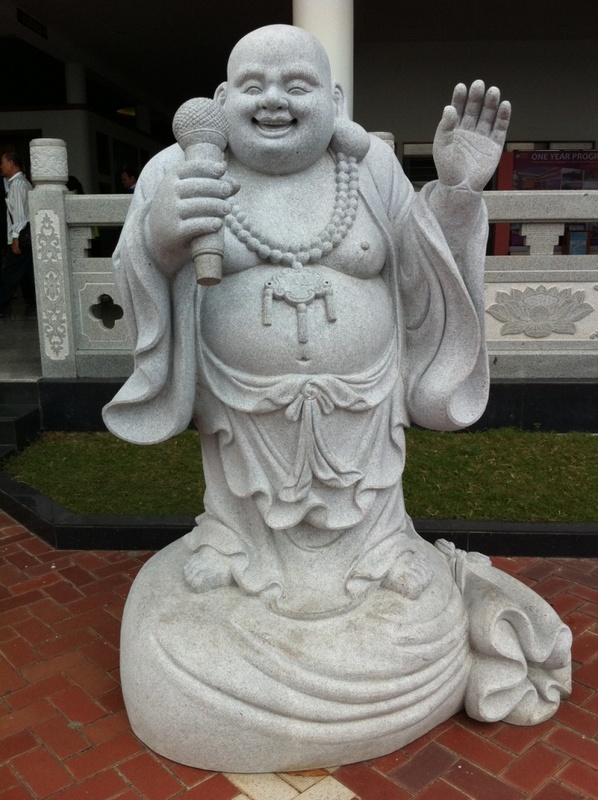 Laughing Buddha – Don’t you just feel like laughing along with him?